Long-time cross-country skiers will find miles of trails filled with challenging ascents and thrilling descents. Most of all, they’ll find a breathtaking view around every bend in the trail. 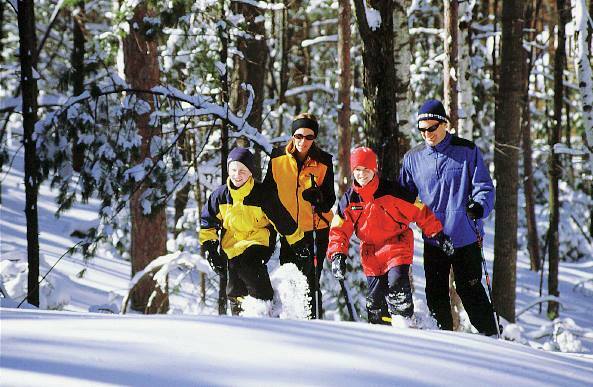 If you’re new to the sport, you’ll find expert instruction, quality rental equipment, and a fun way to stay fit and enjoy the beauty of winter of Northern Michigan. 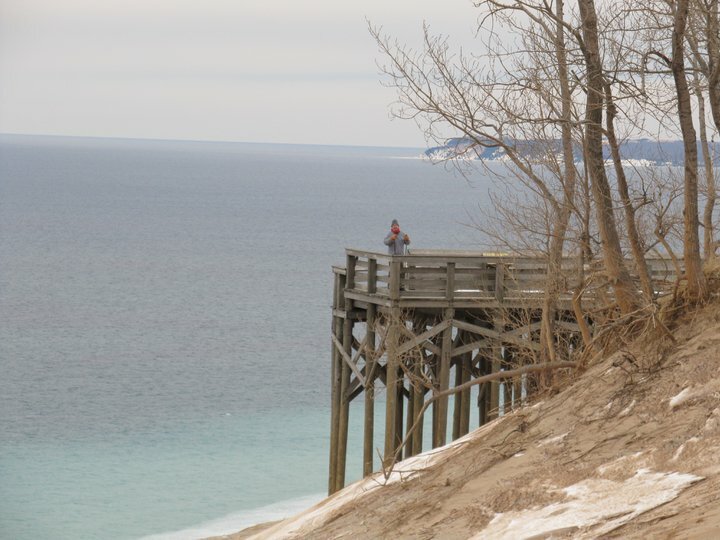 Anyone who loves the great outdoors is sure to love the snowshoe trails that winds through the Sleeping Bear Dunes National Lakeshore. 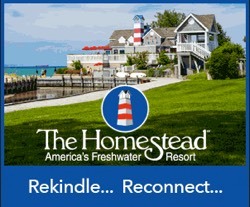 One of the trails, Bay View, is just steps from the resort’s Village. There are also several other snowshoe trails just a short drive away. 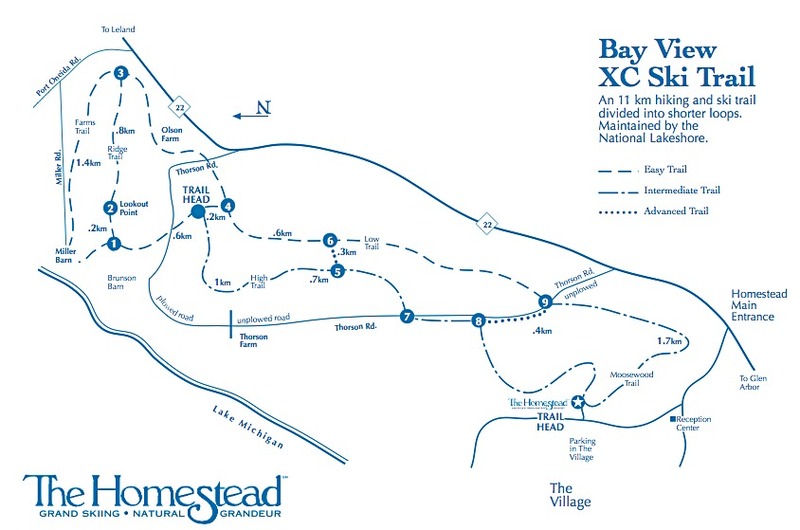 The Bay View Cross Country Ski Trail is just steps from the resort’s Village.